For months now, I’ve been dreaming of getting behind the wheel of the new Suzuki Jimny—a vehicle that seems like it could be the holy grail of off-roaders thanks to its low price tag, small dimensions, body-on-frame architecture, solid axle suspension, and deeply soulful design. Yesterday, the dream became reality, and I drove the new Jimny around Nürnberg, Germany; before I tell you how that went, I’d like to hear from you: What do you want to know about the little Japanese 4x4? 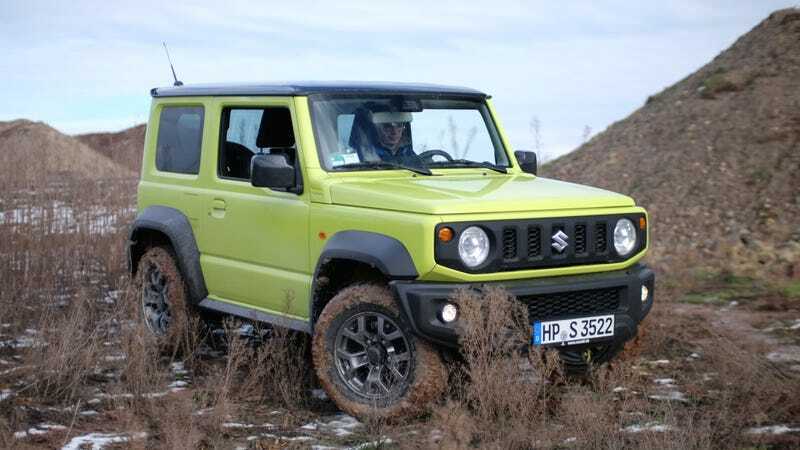 Andreas Jüngling, who writes for the German car magazine Auto Test, was kind enough to lend me his Suzuki Jimny test vehicle for about half a day yesterday. While off-road areas in Germany are few and far between, he did lead us to a construction site, where I had a chance to see how the three link radius-arm suspension setup, “Allgrip Pro” four-wheel drive system with low range, and general vehicle dimensions handled uneven terrain. More on that in a review coming later. For now, I’d like to know: What do you want me to tell you about the new Suzuki Jimny?